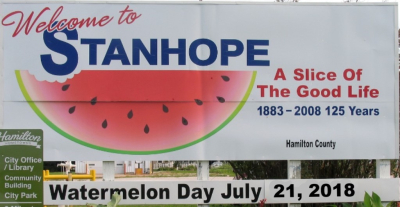 If Stanhope had its own national holiday, it would be Watermelon Day. Started in 1957, Watermelon Day is a celebration sponsored by the Stanhope Lions Club and supported by Stanhope Watermelon Day Committee. Today, thousands of people from all over the United States come for the annual parade, carnival rides and games, ball games, free entertainment, and all the free watermelon you can eat! Watermelon day is scheduled for July 20, 2019. Click link below to see the pictures. Stanhope Fire and EMS Department front row left to right: Fire Chief Mike Hanson, Maggie Lewis, and Alisha Storm. Back row left to right: Dave Read, Assistant Fire Chief Gary Baker, Richard Malmquist, Tony Van De Pol, Peter Amstalden, Matt Carter, Cody Renze, Brad Anderson, EMS Director Nick Mitchell, Chuck Clabaugh, and Robert Johnson. Absent at time of photo: Greg Smith, Dan Ostrem, Bob McNally, Jill Haman, Gary Northrop, Larry Runyan, Chris Canon, Johnathan Busing and Brian Wilcox. The Stanhope Lions Club was chartered on June 15, 1951 with 42 founding members; the first president was Dr. R. W. Wilder, the local veterinarian. Over the past 65 years, the Stanhope Lions have sponsored and supported numerous activities and projects. A community building was the first major project, spearheaded by the club in 1952. This was followed by a project to raise funds for a firetruck, to serve both town and rural areas. The goal for this project was met in only three weeks! The Stanhope Lions Club gained national noteriety when a picture of the new fire engine, with some of the members onboard, graced the front cover of the Lions International Magazine. The Stanhope Lions Club has had interesting fundraising events over the years. In the early years of the club, fundraising consisted of white elephant sales in the city park! Since 1957, the Annual Watermelon Day has become the major source of income. 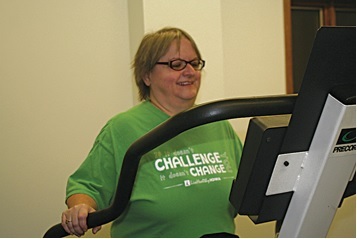 Two other main events complete the fundraising: the Soup Supper, held in the fall, and the Pancake Supper, held in February. Many local projects have been supported and funded in part by the club. Some examples include many projects for the city park, including trees, restrooms, a shelter house, and a press box and bleachers. Tennis courts were also funded by the club. They also contributed the first $1000 for the Medical Building. They have sponsored Boy & Girl Scout programs, supported the Clear Lake 4-H Club, and worked with Law Enforcement to number all the houses and businesses in town. 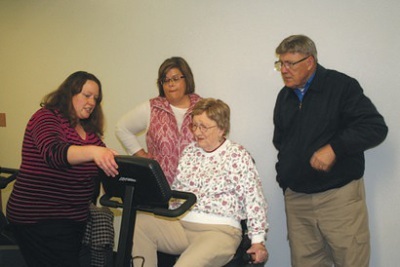 Annually, they contribute to the South Hamilton Scholarship and the Hamilton County 4-H Foundations. They have given public recognition to local citizens and provided a large contribution towards the new Library/Community Center. These are but a few of the many contribution made to the community. Our club continues to follow the Lions motto: “We Serve”. 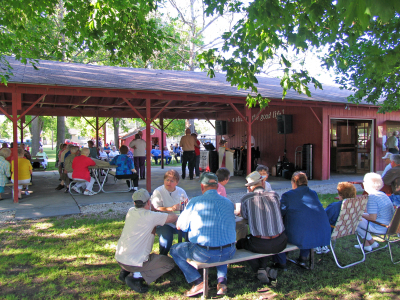 The Stanhope City Park comes alive each Wednesday evening in June and July. The food stand opens up selling sandwiches, slices of homemade pie, and ice cream. Along with the food, there is musical entertainment. Come and enjoy the musical entertainment, food, and the opportunity to catch up on the recent news with all of your friends. 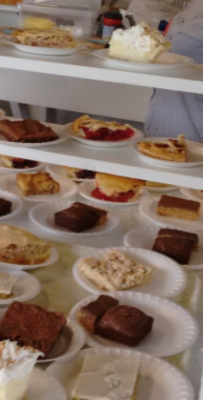 The Concession Stand not only provides good food including a wide variety of homemade pies, it also provides a wonderful venue for the Volunteer Groups to be able to raise much needed money for their own group activities. Along with the musical entertainment is the Stanhope Summer Recreation Program. It is an eight week program. During the first four weeks is the t-ball league playing in the baseball diamond. The last four weeks are whatever the director picks to play. They have played kids against parents, soccer, water balloon fights, slip and slides, and kickball. All kids are welcome and it is free. Organized: 1985, Incorporated: 1990. 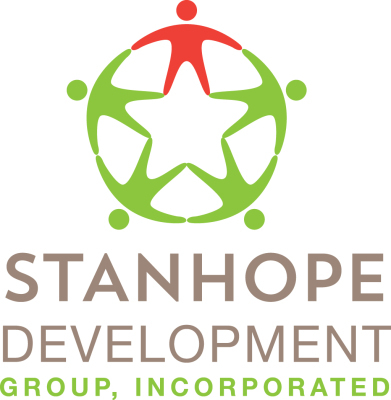 The Stanhope Development Group is a non-profit organization. They consists of a very small, very dedicated volunteer group. We sponsor many activities, including the town’s Easter Egg Hunt, the annual Garage Sale Day, City Wide Volunteer Day, the designing and ordering of Stanhope Watermelon Day t-shirts, as well as coordinating Wednesday Night in the Park for which has been going on for over twenty years.The Stanhope Development Group also donates money to help start-up businesses in town, and also helps current businesses renovate existing buildings. The Stanhope Development Group sponsors Yard of the Week. Every week, starting after Memorial Day until the week before Labor Day, the group's committee picks a yard in town to display the One in a Melon sign, to show the pride residents have taken in their yards. Every year the City has an Annual Garage Sale Day. Anyone can sign up. It is free. You go to the city office to be put on the map. The Friday before, everyone having a sale is giving maps of the location of the garage sales to hand out. Maps will also be available at Sparky's. For city residents, there are tables and chairs free of use, first come first serve basis. You must pick up and drop off. Every member will have their own security code to use on the doors so there is access to work out at the facility 24-7, whatever fits his or her schedule. A one-time membership registration fee of $10 will be assessed to new members. 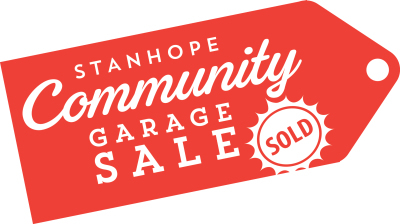 Checks and money orders may be payable to the City of Stanhope. Monthly payments are due by the 20th of each month. Annual payments are due by the 20th of the membership anniversary month. 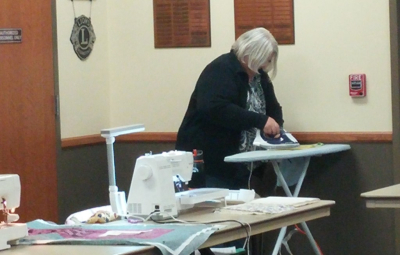 ​ Stanhope quilters meet normally once a month for 3 days. They bring in all they things and leave them the whole time. They come and go as they please. 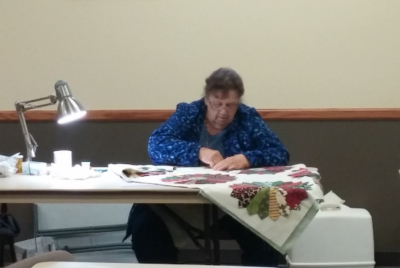 In this time, they get help and support from the other quilts. Get friendships have been made. Beautiful things have been made. 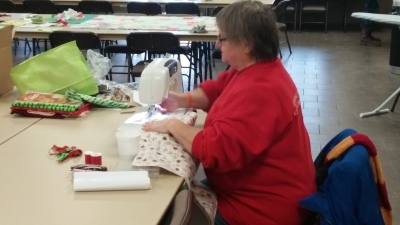 The community center offers the space for all the quilts that they may not otherwise have. Quilts are not the only things made. It is always a treat to see what everyone is making, who it is for, and why.